Last night, the winners of the Consumer Credit Awards 2018 were revealed at Café de Paris in London. Now in its third year, the Consumer Credit Awards ceremony is the culmination of a voting process which this year saw over 20,000 UK consumers share their feedback about the credit firms they do business with – be they some of the biggest firms in the UK, or some of the newest and most innovative….and everything in between. In an increasingly fractured consumer credit landscape, it’s clear that not all consumer credit firms are built equal. The Consumer Credit Awards aim to find the best credit firms in each product category. Further pictures from the event will be shared here shortly. 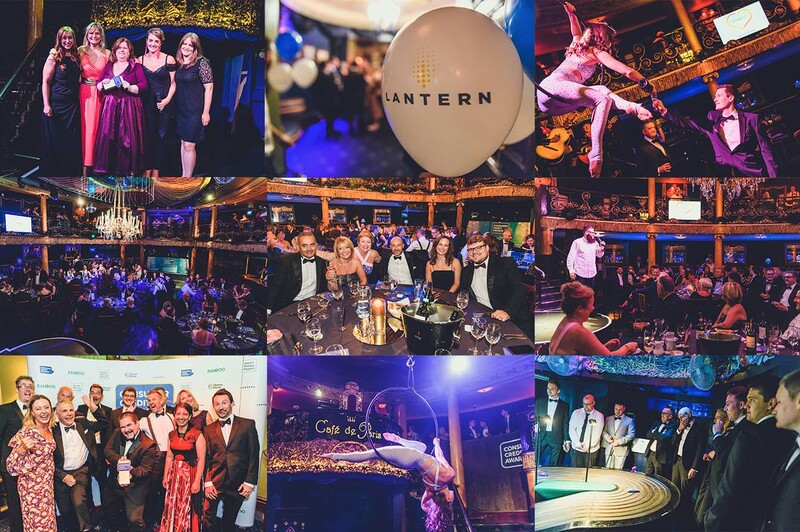 This year the Consumer Credit Awards Headline Sponsor was Lantern, represented on the night by Denise Crossley, CEO and Michelle Moore, Head of Sales and Client Relations. They were joined by category sponsors Bamboo and Choose Wisely. ‘Firm of the Year’ was taken home by Birmingham-based Fair for You which received the highest overall customer rating during the voting process. Fair for You also took home the ‘Best Alternative Finance Provider’ category. An impressive feat for a firm which is seeking to deliver an equally impressive and ambitious vision. Bournemouth-based Amigo was the only other firm to take home two awards on the night, winning both ‘Best Guarantor Loan Provider’ and ‘Treating Customers Fairly Champion’. With well over a thousand consumers voting for them, they scored an astounding 100% when consumers were asked if they felt fairly treated. During the event, Smart Money People revealed that it has been working on an inaugural Treating Customers Fairly Index which is due to be launched later this year. This will be a six monthly index looking widely across UK financial services, including consumer credit. It will take on board customer feedback and add to the mix other factors like interest rates, clarity of T&Cs and product features… and even some mystery shopping. If you’d like to find out more about this work, please contact the team today. Over the next few months we’ll be revealing our plans for 2019, and how the Consumer Credit Awards can continue to reflect the evolving world of consumer credit. If you’d like to keep up to date with the Consumer Credit Awards, please follow us on Twitter of LinkedIn.